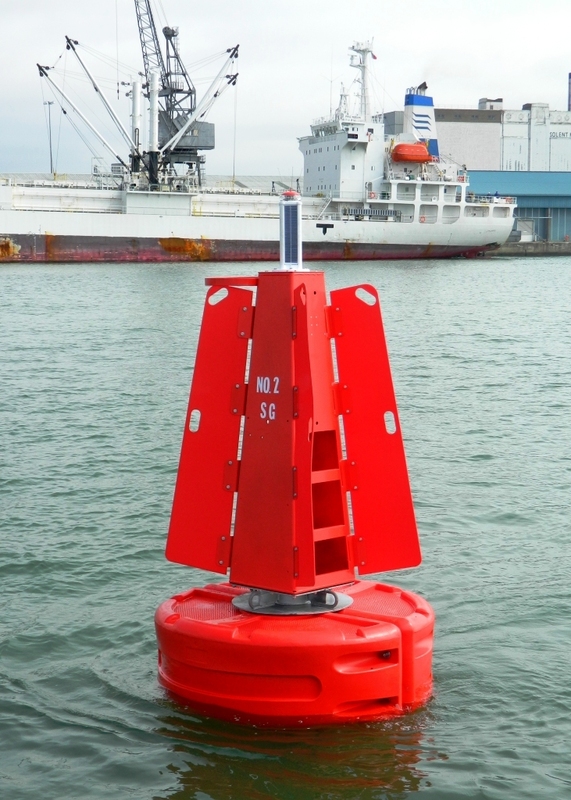 The T 1200 buoys are extremely robust tailtube buoys with a 1.2m diameter hull, designed by world-leading buoy manufacturer Mobilis. They come complete with an integral daymark shape containing an internal radar reflector, making them highly suitable for use in coastal and river locations. A short galvanised steel tailtube with adjustable ballast weights provides a stable platform suitable to fit a self-contained solar lights such as the Vega VLB-2 – also available from Hydrosphere. 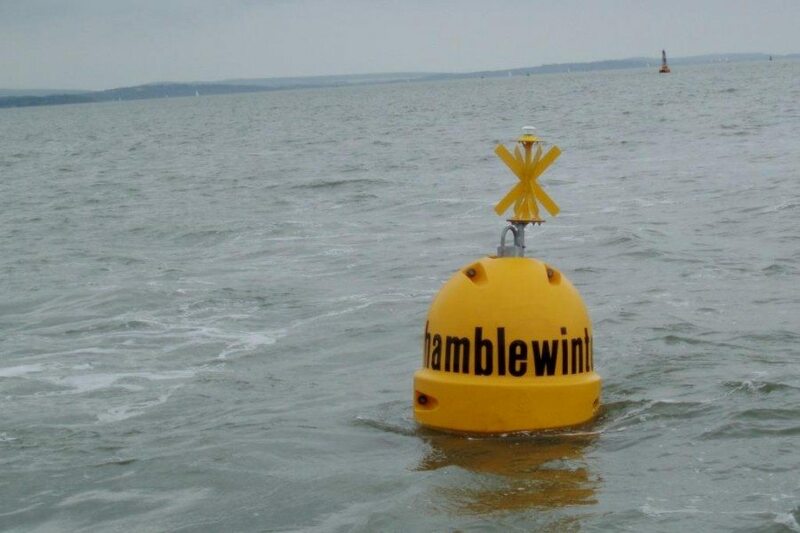 The currently named ‘Hamblewinterseries.com’ race marker was the first station to benefit from the new type of spherical buoy. The Hamble Winter Series is organised by the Hamble River Sailing Club for racing yachts between 26ft and 52ft and runs over 8 weekends from October until December. Hydrosphere has been supplying Aids to Navigation to ABP Southampton since 2005. They recently installed a JET 2500Q port lateral buoy following the Marchwood Widening dredging works that now marks the channel off the Canary Fruit Terminal at Berth 104 Cruise Terminal. The new Swinging Ground No. 2 could be seen from the quay at Seawork 2013.